This grandmother in Sop Houn shares with listeners information about her most recent accident with old ordnance. 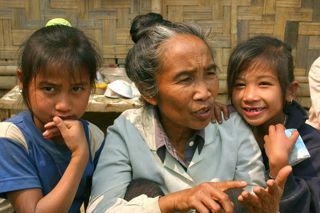 Noi is a soft-spoken grandmother living in Sop Houn. Her two accidents with old ordnance have left her frightened to dig or plant. Since she is a subsistence farmer, her fear is a terrible occupational handicap. In this interview Noi describes her most recent accident and shares her feelings about the event that so altered her life.